A conservatory with a difference – browse our stunning range of lean to conservatories. 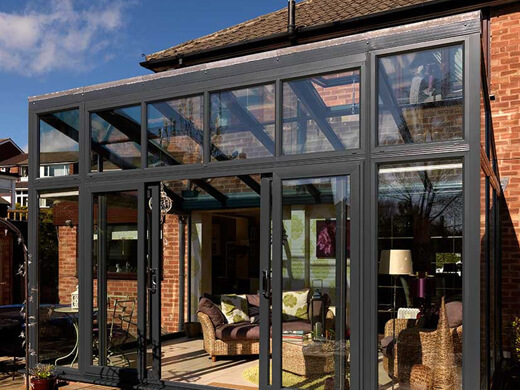 Lean-to conservatories, often called sun rooms, are perfect if you want to make the most of your outdoor space. 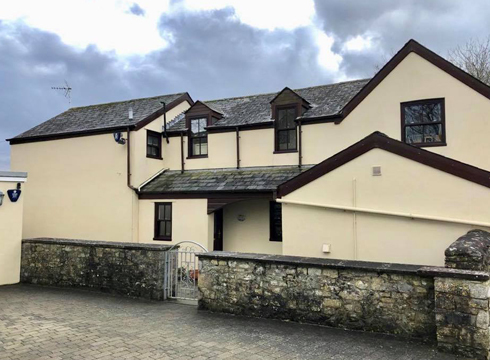 Their elegant sloped roof allows lots of natural sunlight in during the summer, but will help rainwater water drain away quickly in the autumn & winter months. We tailor your lean to conservatory to suit your space and exact requirements. This means your lean to conservatory will look and function exactly how you want it to. You will be relaxing and enjoy your garden in a customised space in no time! Why Choose Our Lean to Conservatories? We offer different kinds of glass and embellishments so you feel in complete control of the design. 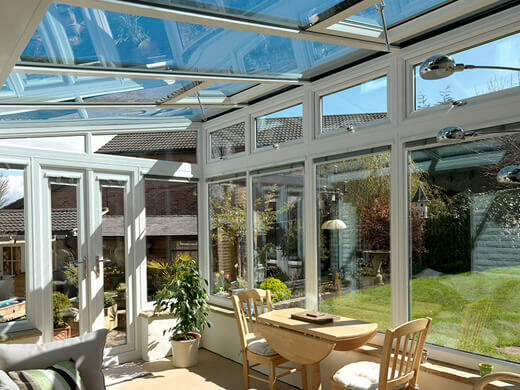 We work alongside you throughout the entire process to make sure your lean to conservatory meets your expectations. 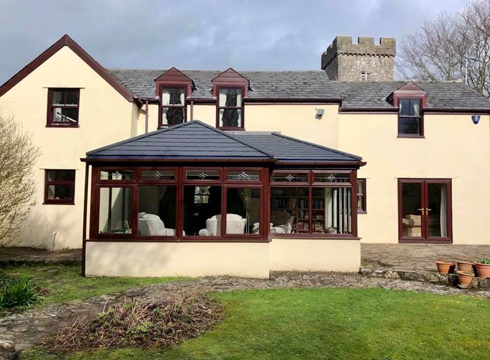 Take a look at some of the gorgeous lean to conservatories we have installed over the years. Our customers are always happy with their new lean to conservatories and praise us for our excellent customer service! 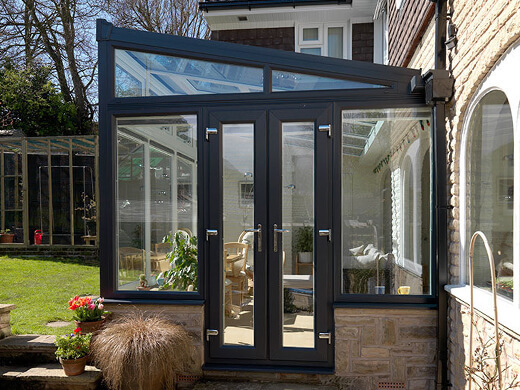 If you want to add a lean to conservatory to your property, contact us today. Placing an order and tracking its progress is simple. Call us any time to check how your lean to conservatory project is progressing. We strive to keep a clear and open line of communication throughout. Our highly-trained and professional craftsmen will arrive on a day of your choice at a previously agreed time. They will install your new lean to conservatory quickly and efficiently, leaving as little mess as possible! We also install sockets, lights and radiators, as well as aesthetic features such as tiles and skirting boards so you can customise the finishing touches of your new lean to conservatory too. 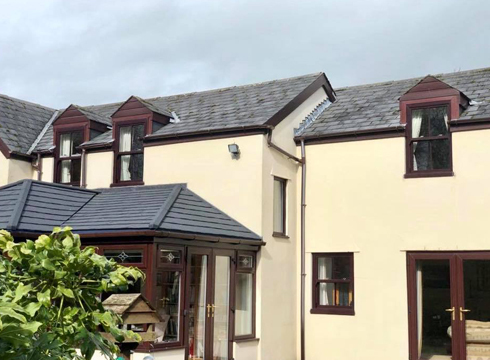 If you would like any further information regarding our high quality range of lean to conservatories please fill in our online enquiry form or call us on 02920813488.